We are slowly producing more joinery here at the workshop, although its not something we advertise. We are not set up to run out large quantities of doors and windows using dedicated machines, which unfortunately means we can work out quite expensive for that sort of work. But conversely because we are not setup in this way we can easily make bespoke doors and windows as we have no expensive set tooling dictating our work. One good example of this is the windows finished this week. We were approached by the client in Henfield to replace the badly fitted double glazed units in her beautiful Victorian conservatory, with opening windows, matching two that had been previously fitted. Quite a daunting task as the old structure was not quite as plumb and square as it once was. 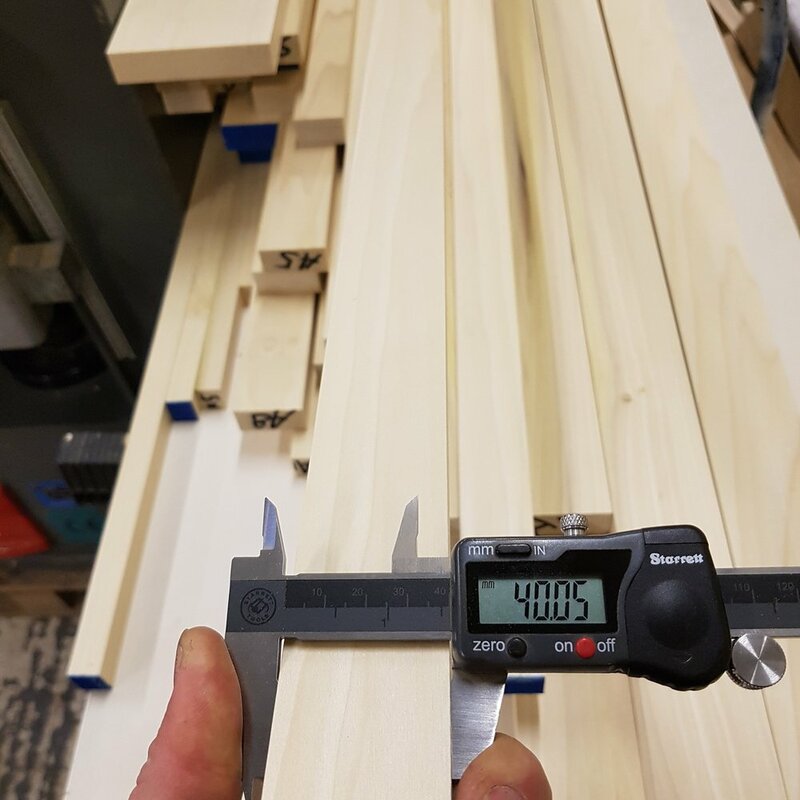 The frame and sash dimensions were governed by what we had to match and called for some clever jigs to be made to produce joinery with such fine tolerances. It was a good exercise in minimalism as I do have a tendency to go a little chunky and err on the side of bigger is better and stronger, sometimes unnecessarily. We managed to source matching ironmongery after a little searching we supplied the windows with a spray primer and they are to be hand finished by the decorators when they paint the whole conservatory.